Endorsed by many celebrities and bloggers, the Egyptian Magic Cream has received incredible praise since its launch in 1991 due to it's multi-tasking nature and naturally-derived ingredients. Featured in renowned publications like Vogue, Marie Claire, Harper's Bazaar, Vanity Far and Cosmopolitan, you can be assured that you will be stunned by the Egyptian Magic Cream's unique formula and impressive results. Get yours right here on HQhair.com. What Is The Egyptian Magic Cream? The Egyptian Magic Cream is a rich, multi-purpose balm that has unique healing powers due to its special combination of natural ingredients that have been solely obtained from living plants and organisms. This innovative cream has been on the skincare market since 1991 and since then, it has proven it's effectiveness through its impressive results and loyal following. 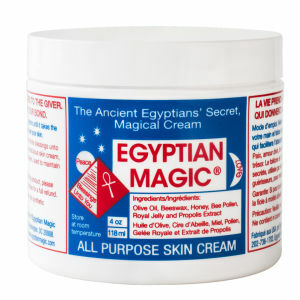 What Is In The Egyptian Magic Cream? The Egyptian Magic Cream contains: olive oil, bee's wax, honey, bee pollen, royal jelly, bee popolis and dive love. 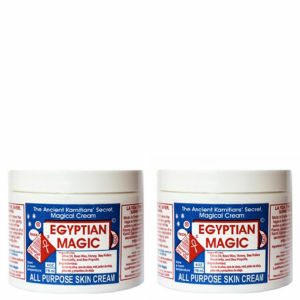 The Egyptian Magic Cream does not contain: additives, preservatives, fragrances, chemicals and parabens. What can the Egyptian Magic Cream Be Used For? 1. Reviving cracked elbows and heels. 2. A nourishing facial mask. 3. A primer before applying makeup. 4. During and after pregnancy on stretch marks. 5. To relieve nappy rash on babies. 7. As an eye cream. 9. On hands and cuticles. 15. To moisturise dry skin.